Roger Clark, who played drums at both FAME and Wishbone Recording Studios in Muscle Shoals on a host of influential recordings, has died at the age of 67 after suffering a heart attack. Clark played his first show at the age of 14 and, in 1972, became a member of the Steve Miller Band, playing with them for a year, playing on the album Recall the Beginning...A Journey From Eden. 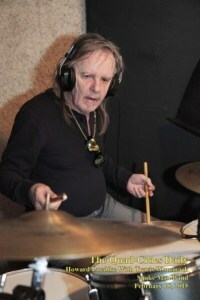 He then joined the Hoodoo Rhythm Devils for their 1972 album The Barbecue of DeVille before settling in Muscle Shoals to become a session drummer, initially for Rick Hall at FAME Studios. Over the years, while working at FAME and Wishbone, he recorded with the likes of Clarence Carter, Big Joe Williams, Dobie Gray, Hot, Leblanc & Carr, Wilson Pickett, Amy Grant, Roy Orbison, Michael Johnson, Hank Williams Jr., T.G. Sheppard, Janie Fricke and many more. According to the Alabama Music Hall of Fame, Clark earned over 30 gold and platinum records including the first chart topping country record to ever come out of Muscle Shoals, "Reconsider Me" by Narvel Felts. He also toured with Journey, Tower of Power and The Pointer Sisters.